This was another of Mum’s afternoon tea or supper treats. I remember the sponge being light and the jam and cream filling delicious. 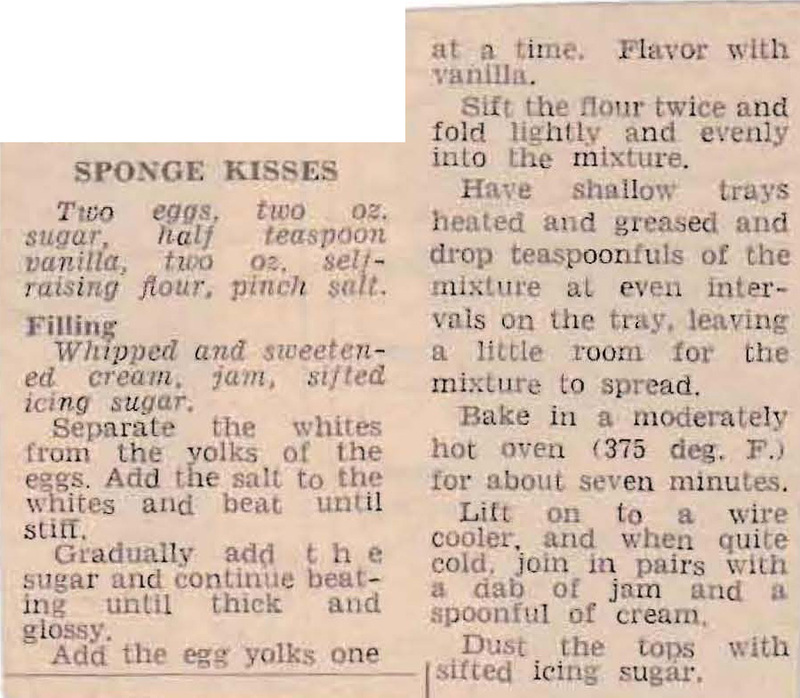 This entry was posted in All Recipes, Biscuits & Slices and tagged 1950s, cream, eggs, flour, jam, sponge biscuits, sponge kisses, sugar by bebsrecipes. Bookmark the permalink.